Shipping and handling not included. UPS and USPS shipping options avaliable. Shipping prices are based on weight, distance, and shipping options selected. International shipping to select countries. "Life-Time of use Guarantee". If your pages fall out with normal use, your book will be repaired or replaced. White or black spine text may be added on photo cover books, centered using 10pt - 16pt helvetica font based on book size. Photo covers may be personalized with a matte or gloss laminate finish. Choose between black or white end sheets with any hard bound book. 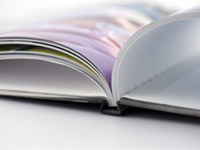 Photobook pages are digitally printed on premium satin semi-gloss 100lb paper. Calendar pages are digitally printed on semi-gloss 100lb cover stock. Each book includes 26 pages in the standard price. You may add up to 74 more pages for a maximum 100 page book. 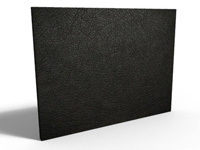 We offer bonded leather covers in black, brown, and burgundy. *Currently, embossed titles are not offered for leather cover books. 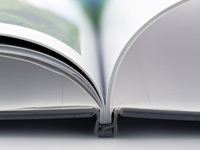 Photobook pages are typically trimmed 1/4" from what is displayed on the canvas. Please allow 6 business days from order date for book completion + shipping time before receiving your order. Your order will be completed within 6 business days from order date. Holidays & weekends are excluded from production days. Orders placed after 5:00pm mountain time, or on weekends & holidays, will be processed on the next business day. If you have any questions please contact customer service prior to placing your order. Click here for photobook printing instructions. Click here for calendar printing instructions.